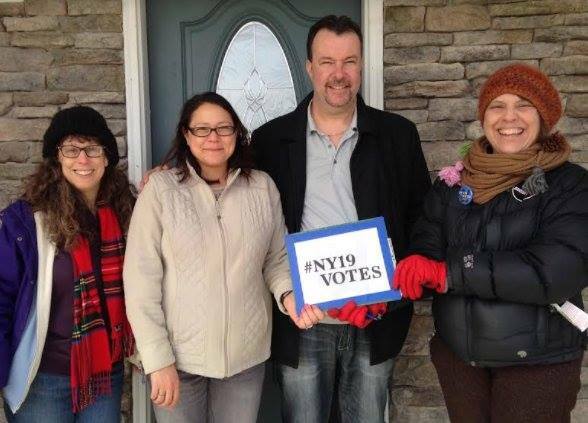 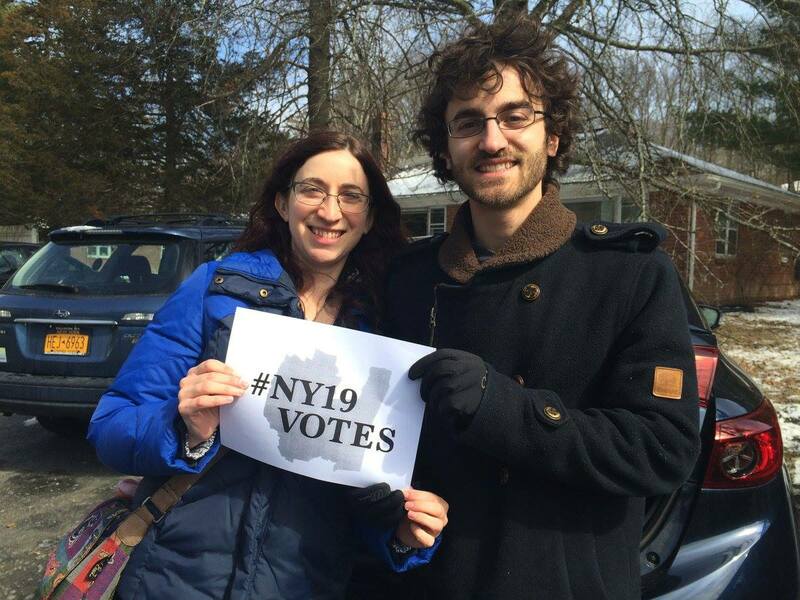 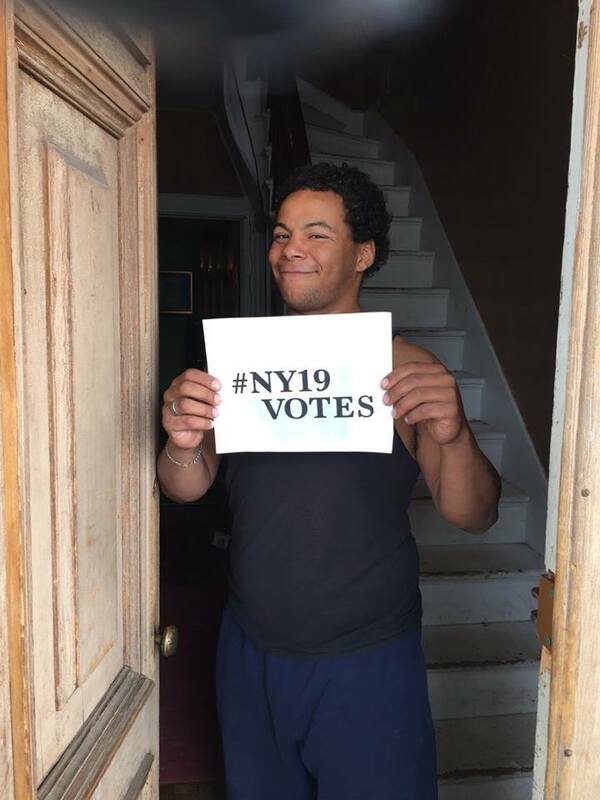 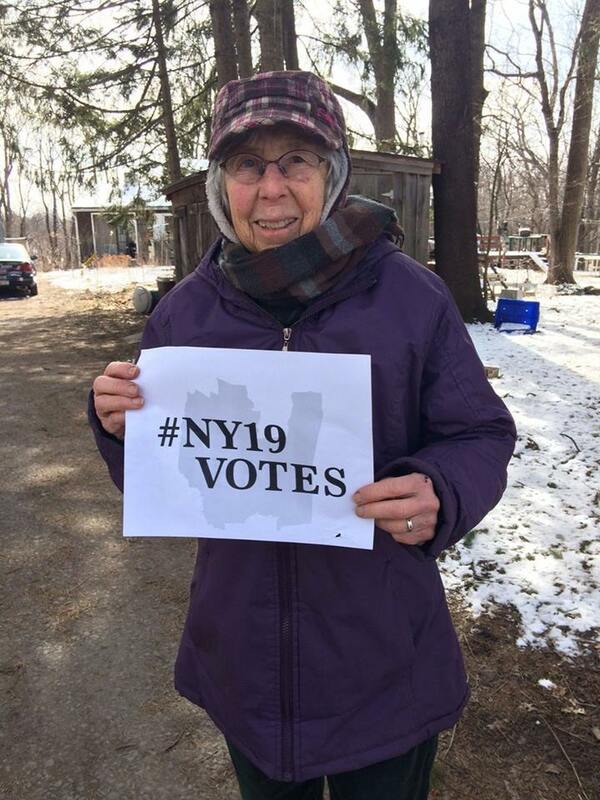 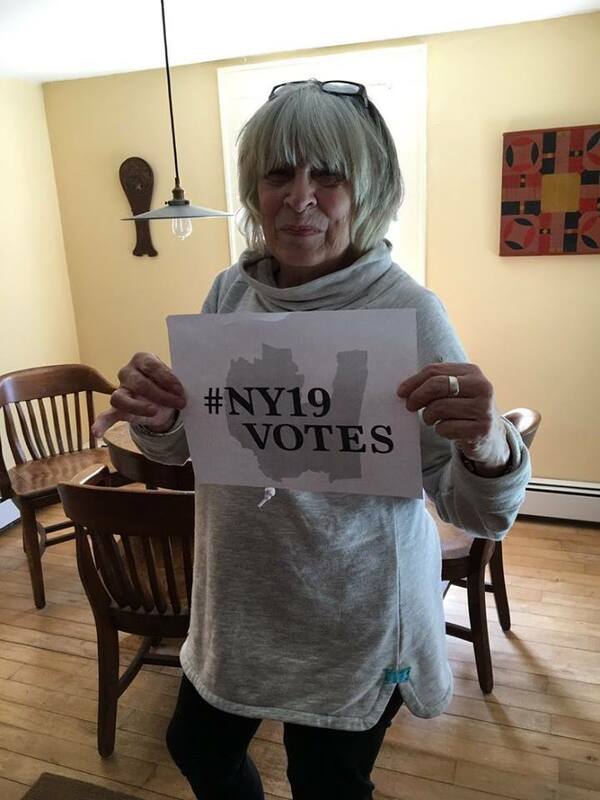 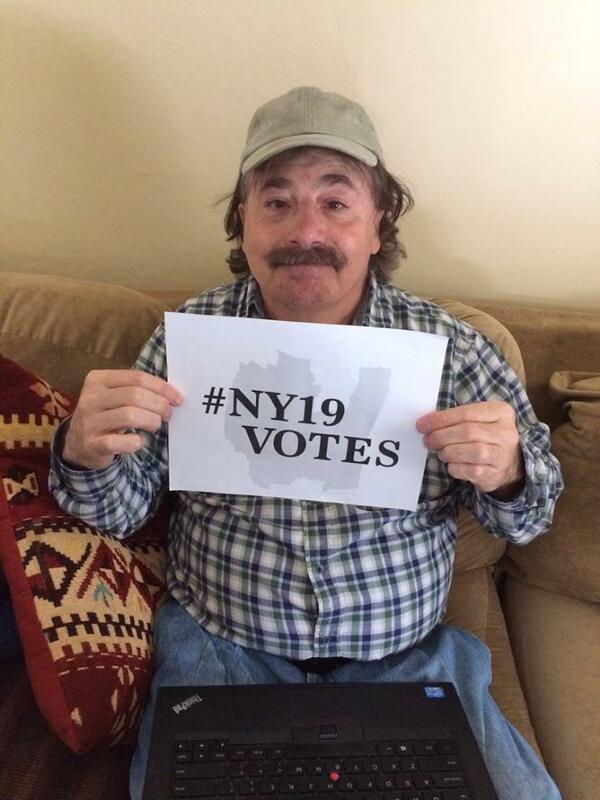 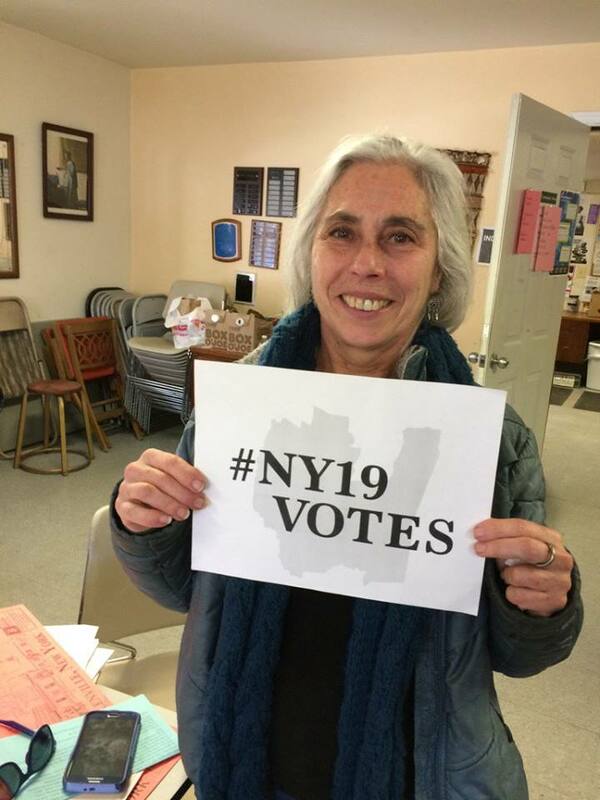 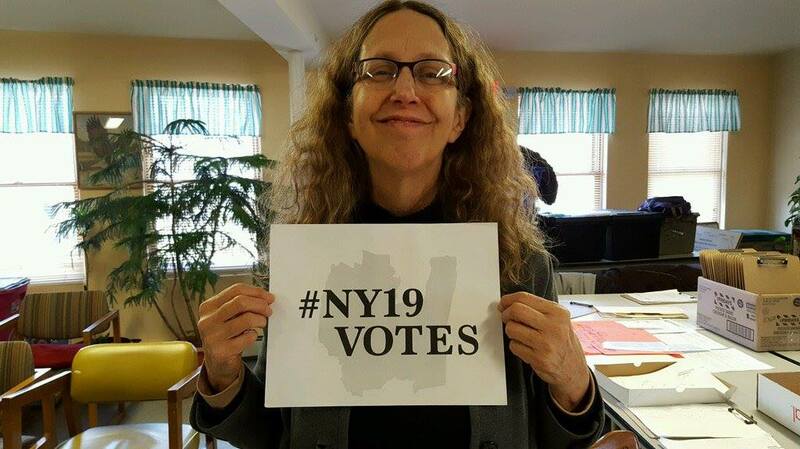 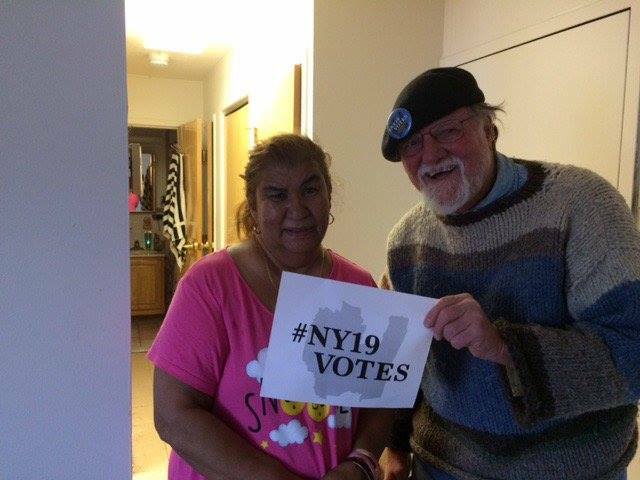 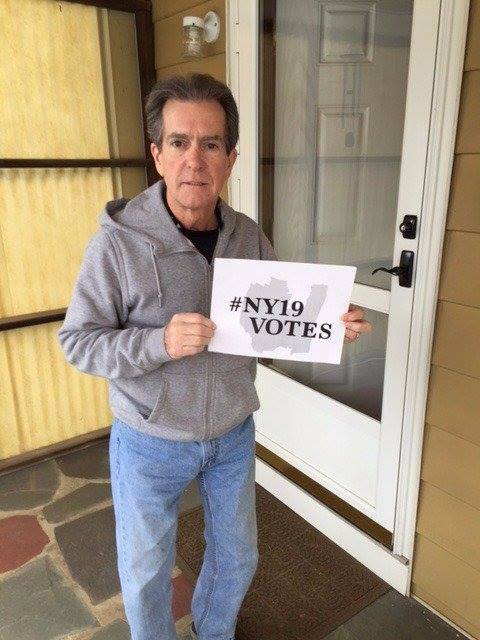 On Sunday, March 12, Resistance Voter Registration launched NY19Votes, the nation’s first grassroots, all-volunteer voter registration campaign—the first to be staged in a congressional swing district, NY19. 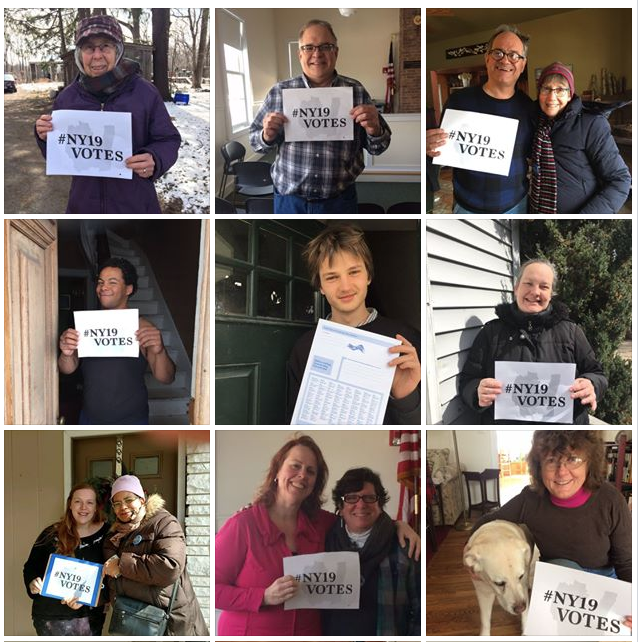 Residents across the district turned out in unprecedented numbers to lead the change they want to see in America. 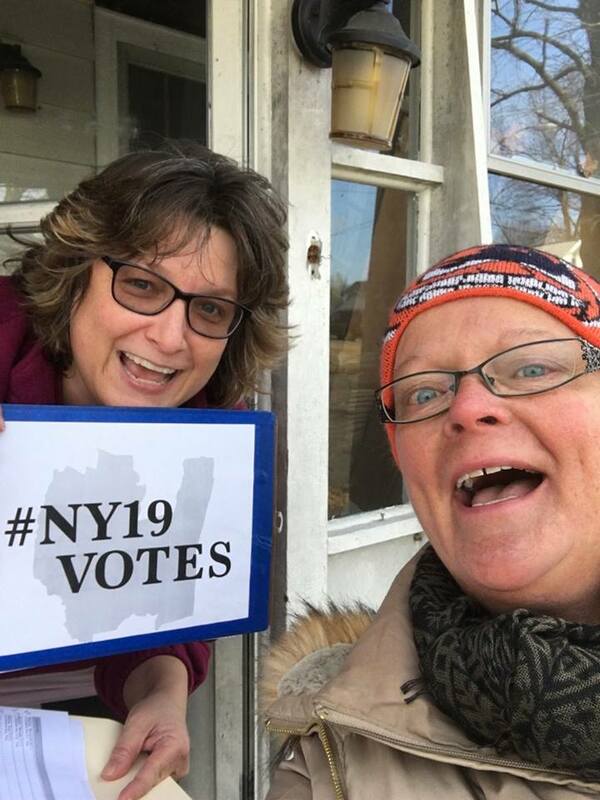 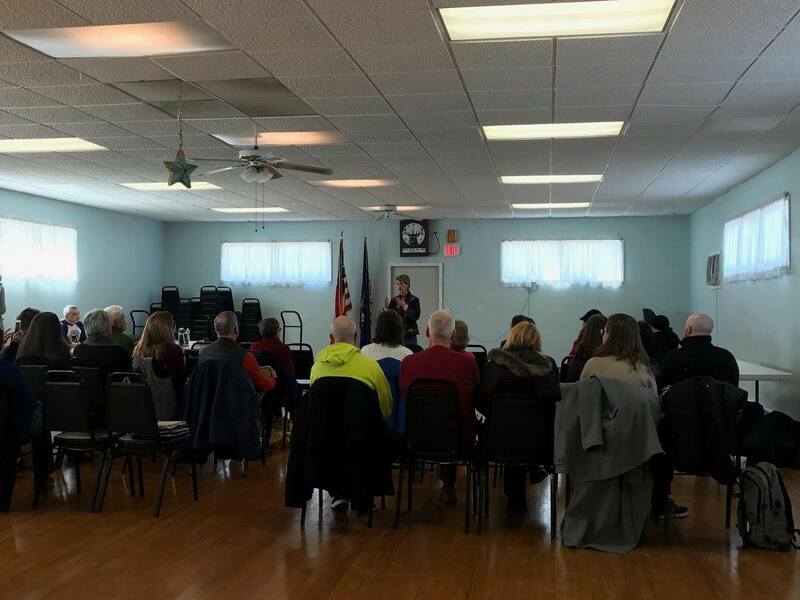 More than 350 people district-wide joined forces to canvass in Boiceville, Brunswick, Ellenville, Gardiner, Hudson, Kingston, Middleburgh, Monticello, New Paltz, Oneonta, Red Hook and Saugerties. 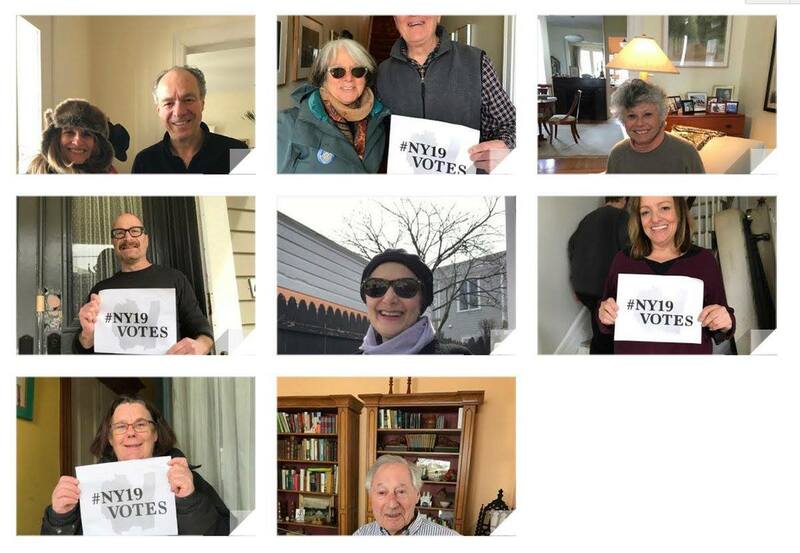 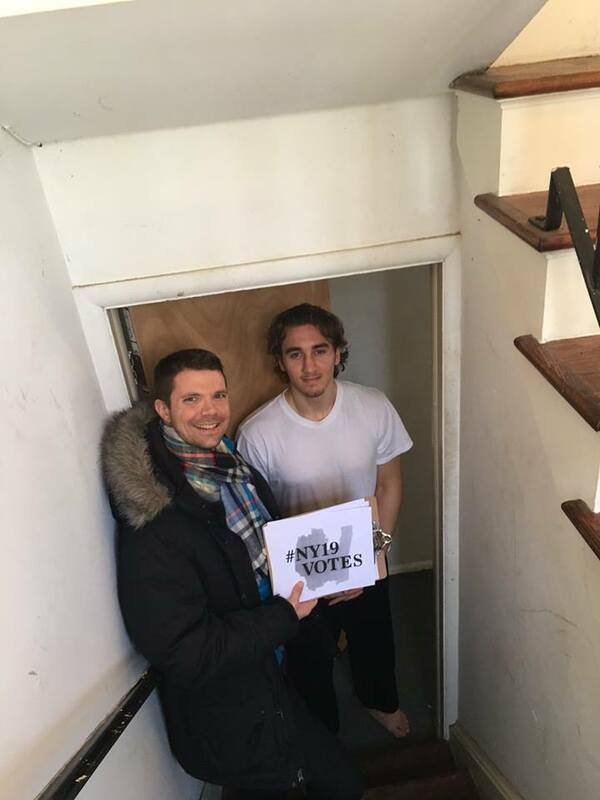 Volunteers gathered at 12 community launch sites in one of New York’s largest swing districts, NY19, for intensive canvass training and then took to the streets to register new and unaffiliated voters across the district. 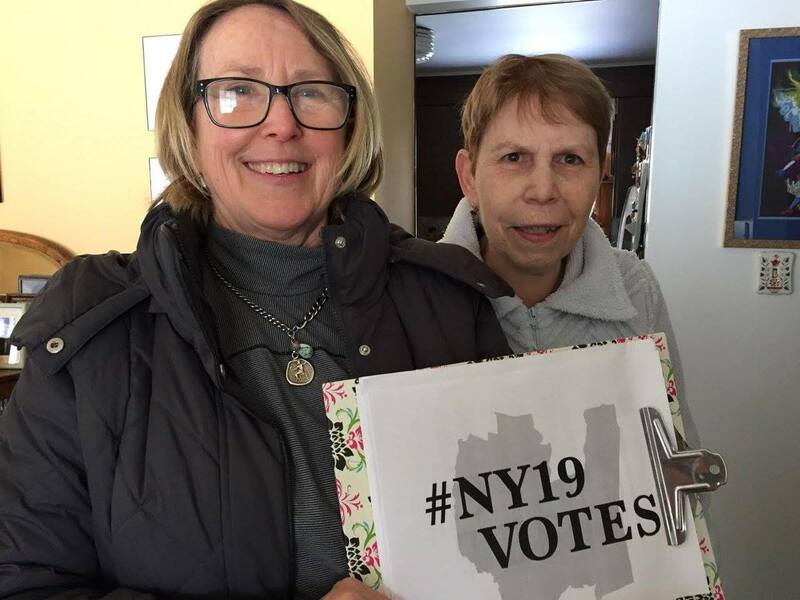 Canvass volunteers also collected more than 1,500 signatures demanding Congressman Faso, (R) Kinderhook, meet face-to-face with his constituents at open town hall meetings. 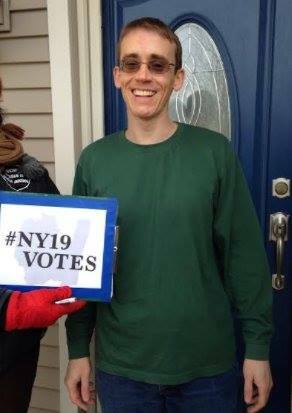 Petitions will be delivered to Congressman Faso’s Kingston office on Friday. 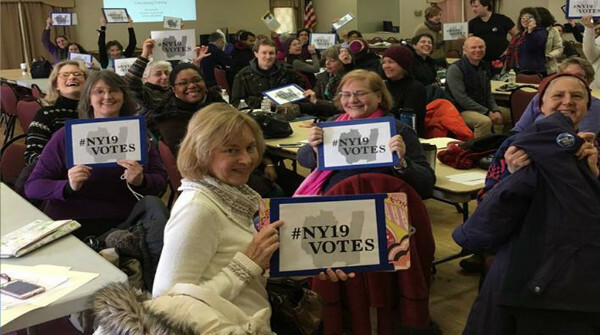 Participants included NY19 Indivisible groups, Resistance and Women’s March NY groups, Citizen Action, Democratic and Working Families Party committees and members. 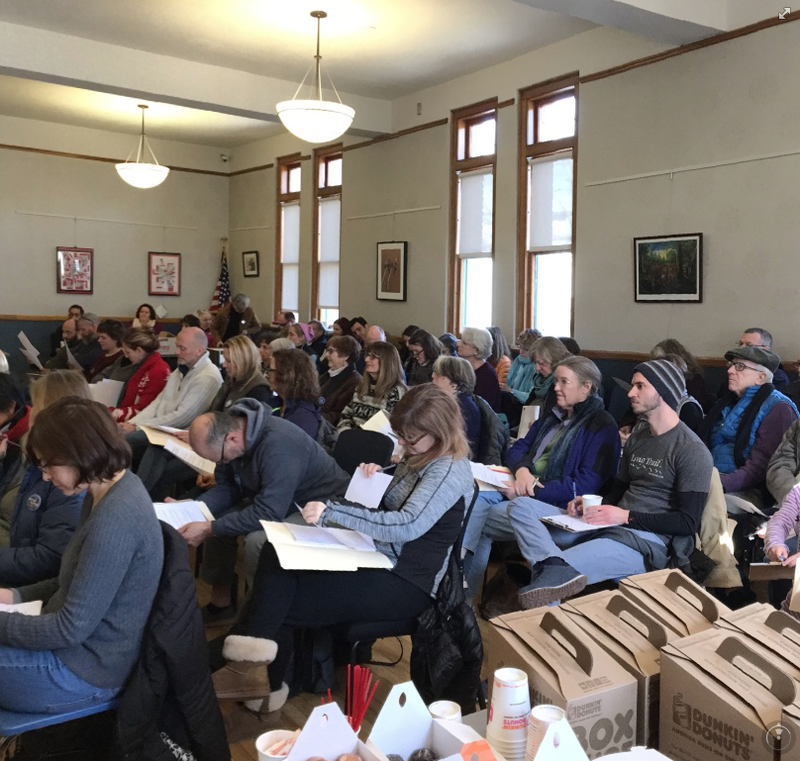 100+ people gathered at the Hudson Area Library in Hudson, NY to learn how to canvass door-to-door. 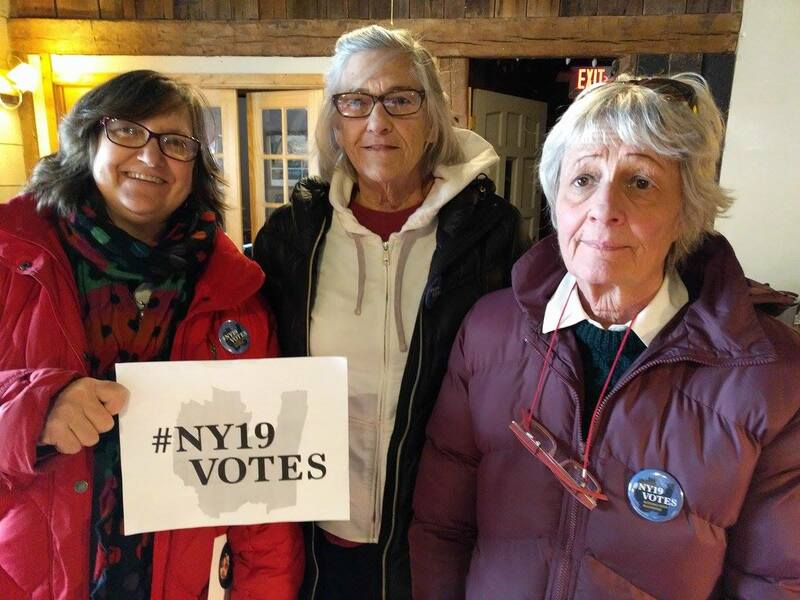 In Ellenville, NY twenty-five people gathered for the NY19Votes event. 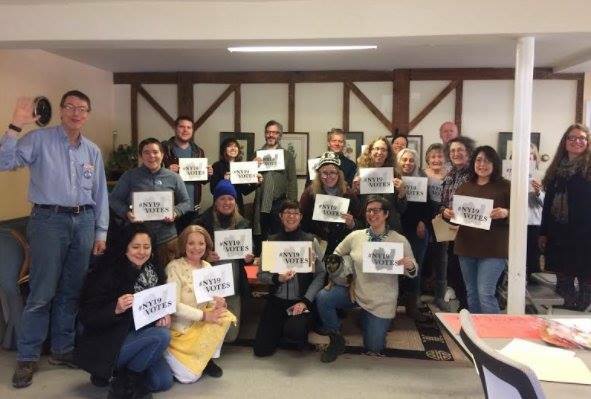 Many of the 25 were first-time activists. 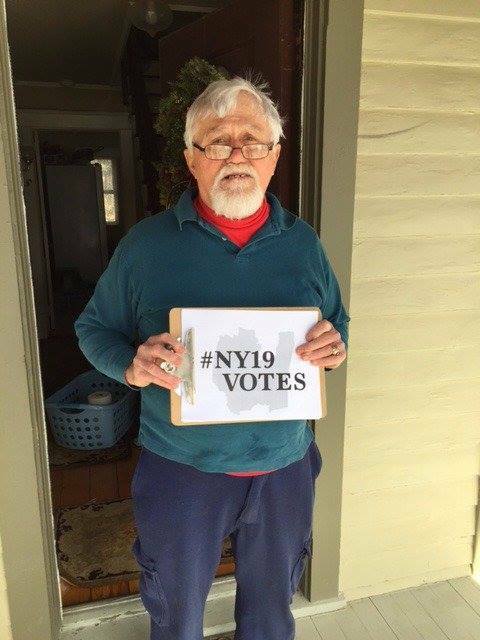 Leonard Distel, Town of Wawarsing supervisor, warmly welcomed canvass volunteers and shared community insights and knowledge to orientate each volunteer to their assigned turfs—everyone understood exactly where they going and what to expect when they got there. 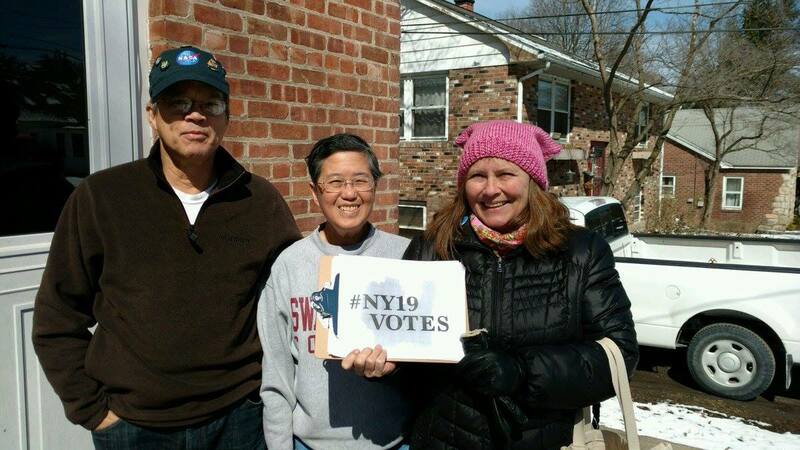 Canvass volunteers in Ellenville, NY. 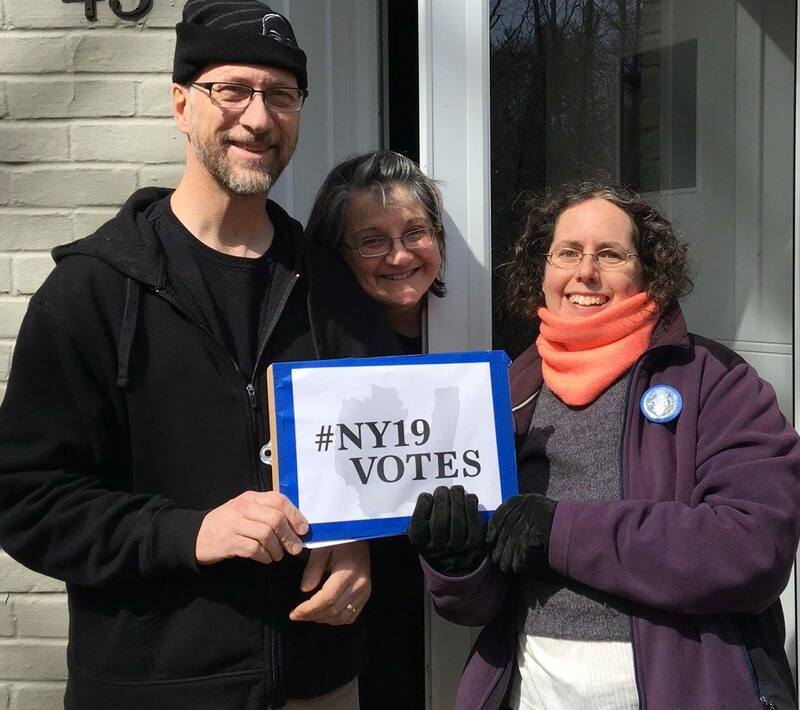 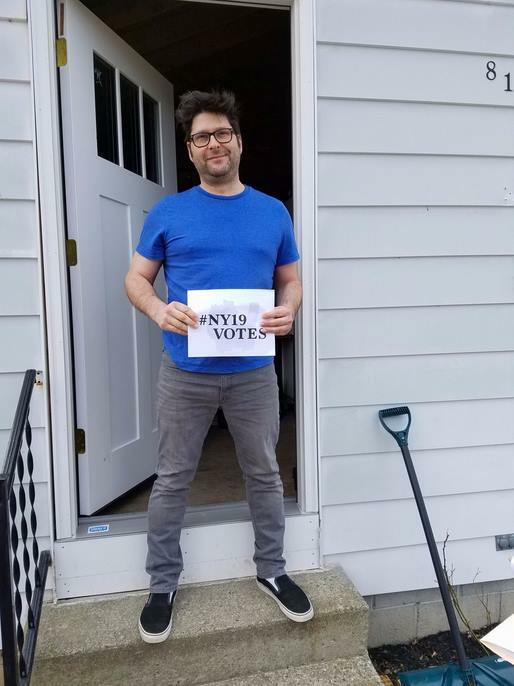 Jeff Beals, a volunteer canvasser in Saugerties who is also an organizer for Swing Left and a member of the Woodstock Democratic Committee, states, “On Sunday we knocked on many doors. 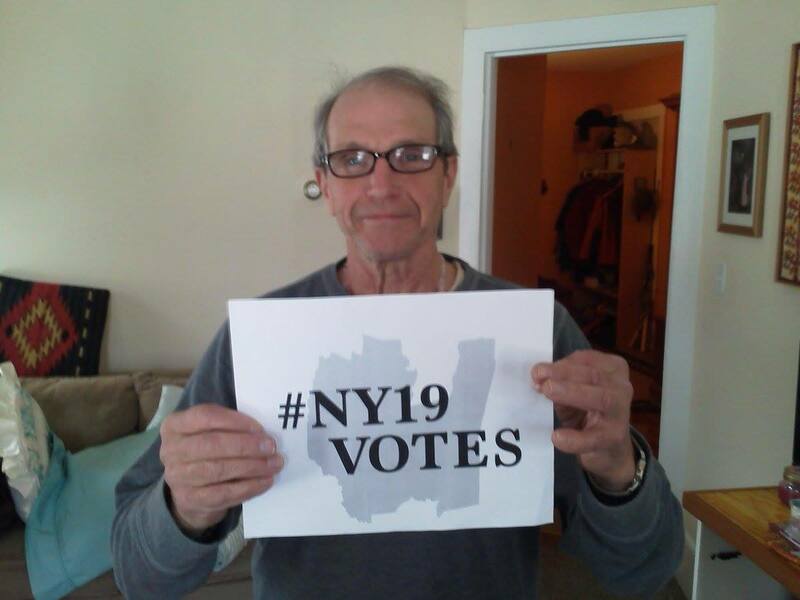 Several of the people in Saugerties are worried that they will no longer be able to make ends meet without the protections offered to their families through the American Care Act.” Jeff noted that for every Trump sign or ‘Don’t Tread on Me’ flag waving in the lawns he crossed, he met several more people who wanted their government to help them, not hurt them. 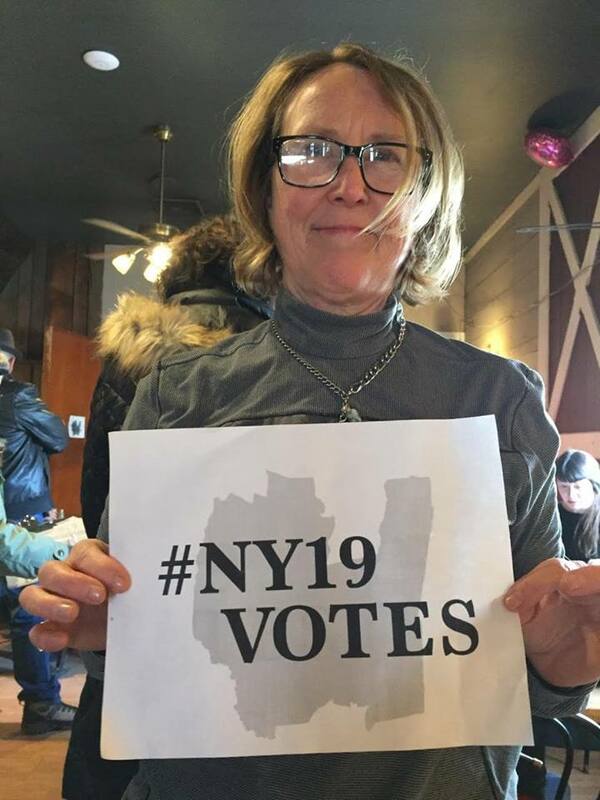 Resistance Voter Registration organizers are already hard at work planning a second mass canvass action; details will be announced in the coming weeks on the Resistance Vote NY Facebook page.